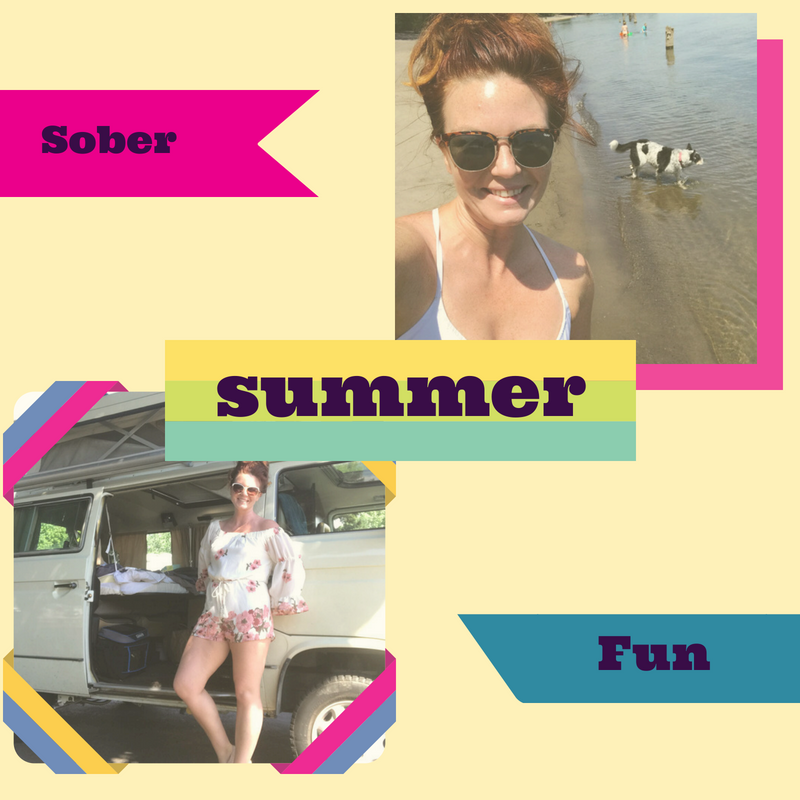 Sober For The Summer (or at least 30 days)! Alcohol Advertisers spend 100s of billions of dollars because their ads work. “Big Alcohol” is MAKING 100s of billions of dollars off the consumers every year. You see it every day, as a commercial comes on: A super fit young guy, surrounded by ladies, grabs a can of beer out of a cooler and throws his hand into the air “Summer’s Finally Here!” he yells as the logo flashes across the screen. The message is clear: Summer only happens if you drink alcohol to “enjoy” it. Summer means beach vacations, sunglasses, tanning oil…. but those are useless without a frothy cold beer and salted margaritas. Summer holidays are fueled by liquor; we’ll even forget the meaning of Memorial Day or 4th of July, focusing on them as excuses to get wasted at a barbecue. Summer clothing targets our kids – retail stores place brightly colored shirts at kid-eye level touting “Tacos and Tequila” or “Mommy needs Wine”. Just last week, I walked in to a pet store and the “clothes” they were selling for dogs had cartoon pictures of cocktails and the words “Great minds drink alike” and “Red White and Boozed”. Even our pets aren’t safe from the brainwashing. Forget the fact that kids and pets are often victims of alcohol, via neglect, emotional trauma and physical injury. “Big Alcohol” isn’t concerned…Their ads increase exponentially during summer; and so do fatalities from alcohol related motor vehicle accidents. 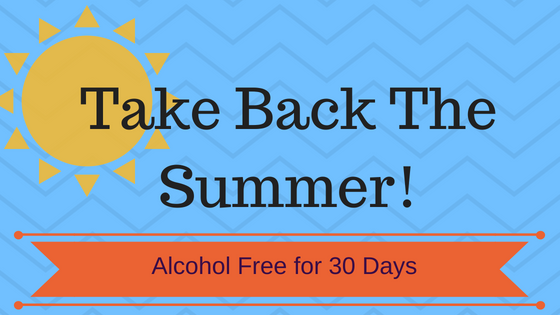 For those of us that have made a point to decrease the amount we drink, or even if we’ve been abstinent for some time, the Summer can be especially difficult. One of my greatest triggers personally has been a hot sunny day on vacation. In addition to pure habit of a cold carbonated beverage in my hand, Summer symbolizes letting go of responsibility, freedom from obligation, and escaping the daily grind. Alcohol for many years was my favorite tool to achieve the escape as fast as possible. For decades, I never even considered the fact that maybe Summer DOESN’T equal Sangria. That Summer really DOES arrive, whether I drink I plaster myself with pitchers of beer or not. I never considered it, because I never tried it. Growing up, family camping trips meant Smore’s, fishing and beer. I literally do not have a camping memory that doesn’t include cases of Ranier or Bud Light in view. My first drink was at a Summer barbecue, when I filled a Sprite can from the boxed wine sitting on a table. My emotions are a mix of sweet nostalgia and sad regret when I think about the summers spent off of school, screwing around with my highschool friends drinking loads of beer late into the Summer dusk. But even there, I’ve romanticized it with words. I could paint a completely different picture – a more truthful one – family camping trips gone bad when the adults got too drunk to cook and fun turned into fighting; summer vacations we were actually rebellious children, hurting for attention, feeling lost, cajoling a pathetic “older” guy to drag himself away from the couch and video games to go buy the kids a case of beer and make 5 bucks for himself. Have you ever considered what Summer would be WITHOUT alcohol? Would it still be sunny, warm, freeing, tropical? Would it be canoes and surfboards, boating and bicycles? Of course it would. It might be hard to picture, if your routine has always been to drink during these activities. But give it a moment of real thought. What if? What would you REALLY be missing out on? What have you been missing out on, due to being only half there while drinking or hungover the next day? Consider the boating and driving deaths and injuries that would be prevented, if we all stopped drinking for even one month in the summer? How many more high school graduates would make it to college instead of die the night of graduation. (40% of automobile accident fatalities on grad night involve alcohol – www.collegebingedrinking.net). For me, just being fully present to experience more summer sunsets and sunrises has been worth it. What if you tried going alcohol free for just one month? What’s the worst that could happen? You can always go back to drinking again when the 30 days is up…..If you really want to. It might sound a little scary – and it might sound a little exciting. It might be just the thing you need to reset your physical, emotional and mental wellbeing. Don’t just take a Summer Vacation this year – Take a vacation from Summer drinking! And do it with the support of a Certified Professional Recovery Coach in a weekly small group workshop! Starting July 5th, we’ll meet weekly on Thursday evenings via ZOOM (video conference). Learning alternatives to drinking activities, mocktail recipes, and mindfulness exercises, we’ll work together through triggers and challenges that are specific to the Summer and to your life. Email me at Tiffany@recoverandrise.com to reserve your space. And the first 5 to sign up are Completely FREE!